My friend Anthony, a producer on Good Morning America, was visiting my office yesterday and said this word when describing a pair of Converse sneakers he loved. Right then and there, I said, "I have to use 'pewter' tomorrow as a funny word." It's one that most people don't use very often but it qualifies, especially when you say it while holding this ridiculous pewter stein in your hand. Pewter is a malleable metal alloy, traditionally between 85 and 99 percent tin, with the remainder commonly consisting of copper, antimony and lead. Copper and antimony act as hardeners while lead is common in the lower grades of pewter, which have a bluish tint. It has a low melting point, around 170–230 °C, depending on the exact mixture of metals. 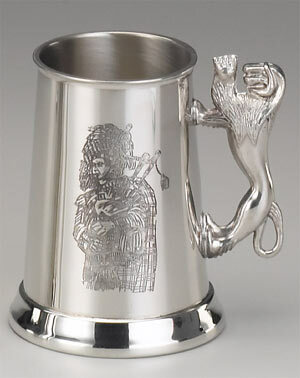 The word pewter is probably a variation of the word spelter, a non-scientific name for zinc.